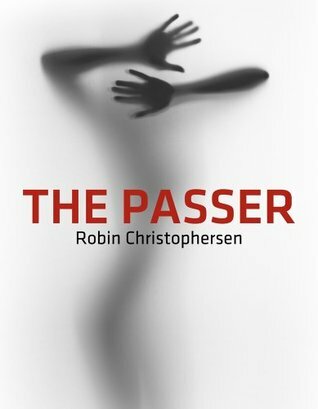 The Passer by Robin Christophersen is a welcome genre-blending story by a first-time novelist. We follow Dr. Eleanor Bouchard, accomplished actress and professor, attempt to put her life together after the death of her boyfriend. On the one year anniversary of his death she is visited by an otherworldly visitor with an unsettling message. Eleanor is then thrown into a mystery where she must not only figure out the message’s meaning, but also understand herself. New powers begin to awaken in her for the first time, which only adds more murkiness to dark waters. Matters become complicated further when a former flame, Daniel Archer, who has suffered the tragic loss of his wife comes stumbling into her life along with his step-daughter, Amelia. Eleanor begins to feel strange connections to the two of them and discovers that their meeting may not be so coincidental in the first place. The Passer is an interesting read. Christophersen mixes romance, paranormal and even a bit of mystery to make an increasingly intriguing story. You would not suspect it even being an indie read, given the polish that is displayed on the pages. I was not expecting to be hit with so many “genre” elements, but they all manage to work well and complement one another. The book itself is a fast read and I was a dozen pages in without even blinking. Eleanor as a protagonist is easy to follow, even if she is almost “too” accomplished, given her two professions. The professorship and her role as a Shakespearean actress seems almost intimidating, even to the reader, but her grief and struggle gives the reader a very tangible doorway into her mind and soul. The fact that she is on her own path to self-discovery despite being so accomplished is an excellent technique to use for the reader to be carried alongside the character on her journey. The novel is deftly paced and reaches a satisfying conclusion. There were points that felt drawn out, but I think Christophersen balances this with the other genre elements. The quotes from Shakespeare, I feltm were heavily on the nose, considering what Eleanor does, but I could let that go, Christophersen clearly has a passion for Shakespeare and I can make a little room for the Bard. The plot may even be weighted down with the extra elements and confusing plot tangles, but by the end Christophersen untangles these and gives the reader a very satisfying story. Overall, I believe The Passer to be an excellent read for those looking for not only an interesting plot, but a book that brings something new to the table of genre-blending. A very satisfying debut novel from a brand-new author. 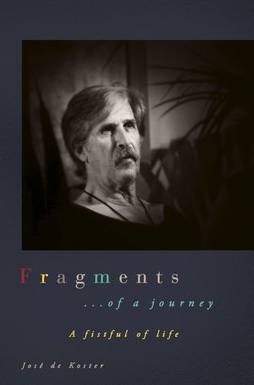 If this is the first book that Christophersen produces, readers should be on the lookout for the next. Posted on April 24, 2017, in Book Reviews, Four Stars and tagged actor, actress, amazon, amazon book, amazon books, amazon ebook, author, book, book review, books, death, debut, ebook, ebooks, fantasy, fantasy book review, fiction, ghosts, goodreads, indie, indie book, kindle, kindle book, kindle ebook, literature, love, mystery, novel, paranormal, powers, publishing, reading, review, reviews, robin christophersen, romance, romantic suspense, shakespeare, stories, suspense, the passer, thriller, urban fantasy, women, writing. Bookmark the permalink. Leave a comment.